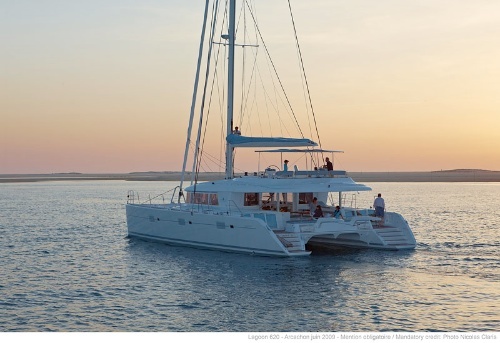 Designed by the prestigious French naval architect team CNB Bordeaux, the Lagoon 62 cat FIREFLY measures 18.9m (62ft) and is the perfect yacht for a luxury sailing holiday. 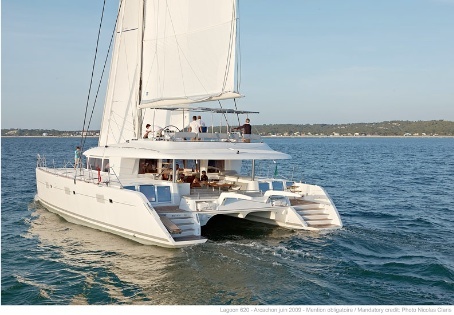 Offering accommodation for 6 charter guests in 3 double en-suite cabins, the FIREFLY catamaran offers a generous interior layout and ample exterior deck space. 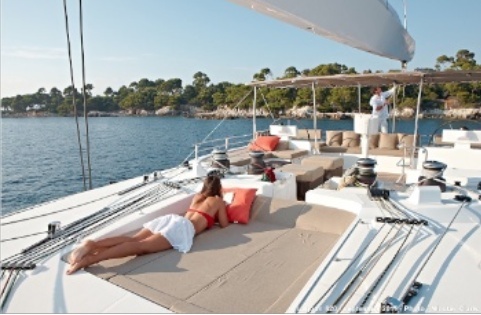 Crewed charter yacht FIREFLY is available in the Mediterranean in the summer and the Caribbean during the winter, giving guests a choice of 2 stunning locations. 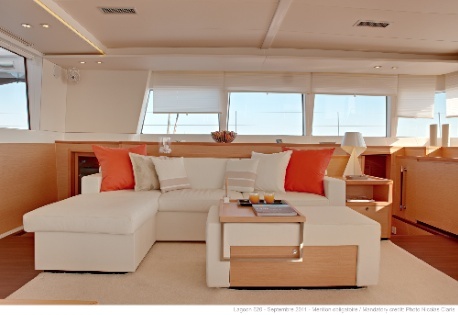 The interior décor aboard the sailing catamaran FIREFLY is contemporary, yet elegant. Featuring light beech panels, warm wood floors and subtle cream headlining, the sense of immense roominess is truly evident. The salon and dining are an open plan, featuring 2 large leather sofas, coffee table / ottoman and a space saving, fold out leafed formal dining table. Vertical windows surround the salon and dining, providing additional space and optimum views. 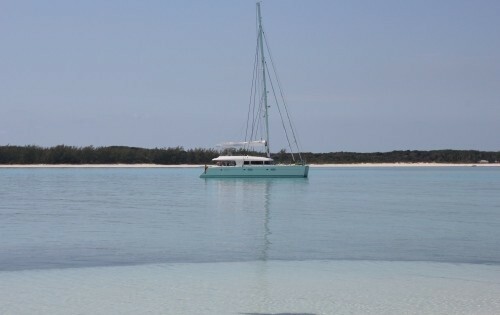 Guest accommodation is to port and starboard, in 1 master and 2 guest cabins, each with TV/DVD entertainment, full air conditioning and private en-suite facilities. 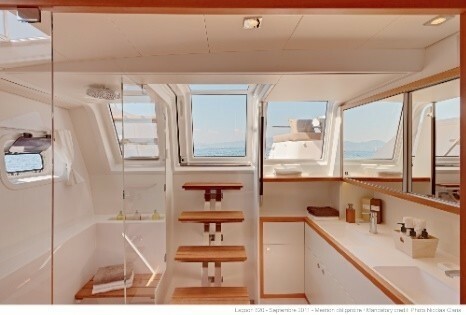 The Lagoon yachts are built with ingenious, factory standard one way hull windows, which allow ample natural light and sea views, while still ensuring privacy. S/Y FIREFLY offers the perfect blend of interior and exterior living, ideal for both the Mediterranean and Caribbean climates. 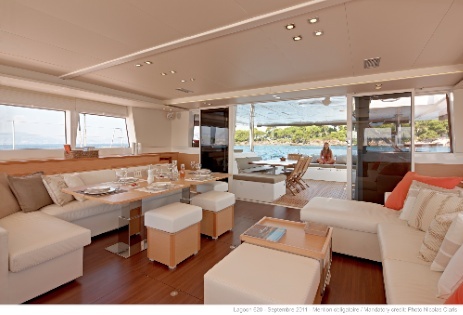 The salon flows seamlessly into the large shaded aft cockpit, where guests can dine alfresco and enjoy the ample seating space. With a beam of 10m (32.8ft), crewed yacht FIREFLY offers incredible deck space. Forward are 2 safety trampolines, well suited to sunning and relaxing. Aft, the generous sugar scoop transoms make water access a breeze. 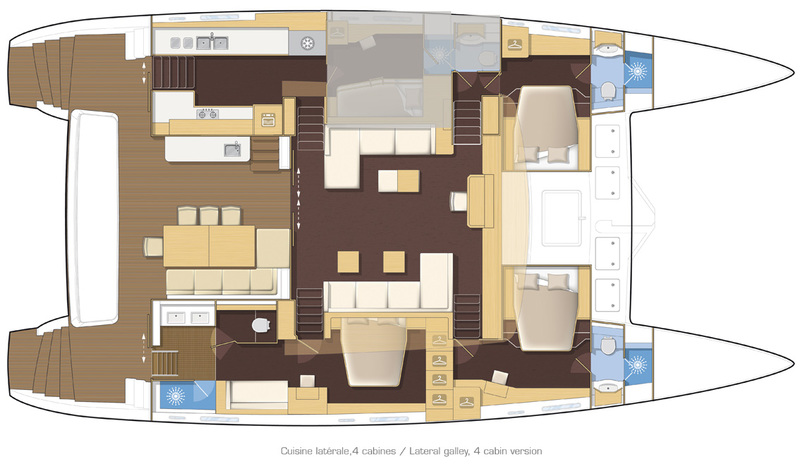 Above the main deck, the flybridge is ideally designed for sailing from the dual helms, to relaxing on one of the 2 double sunpads, or simply sitting back and enjoying the scenery, from the ample seating choices. Partial shade ensures all guests are comfortable. 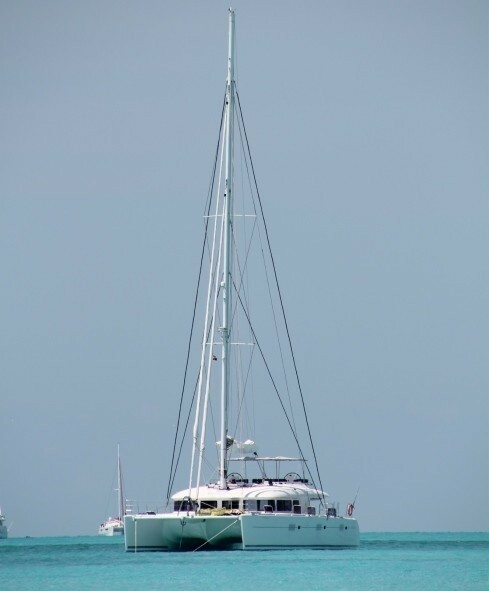 Sailing catamaran FIREFLY is led by a dedicated crew of 3, ready to show her guests the luxury sailing holiday of their dreams. 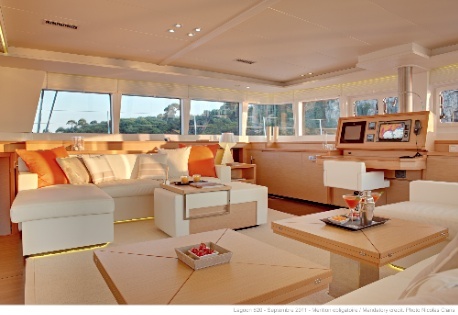 Firefly is the 2012 version of the Lagoon 620, with interiors designed by Nauta for an even more luxurious and comfortable yacht. 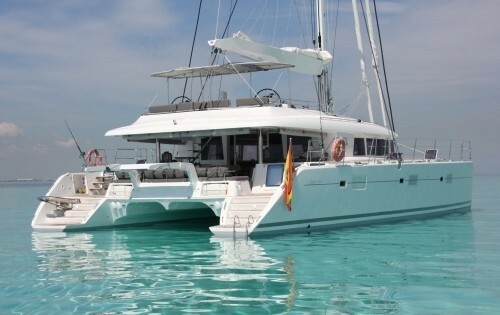 Yacht FIREFLY offers deluxe accommodation for 6 charter guests in 3 double, en-suite cabins. 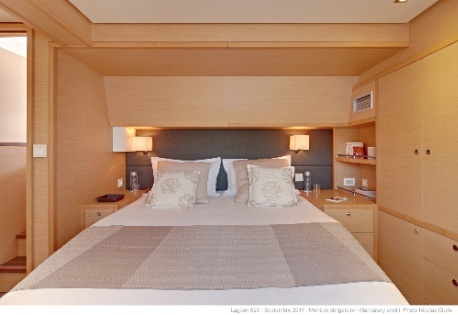 The master stateroom is aft on the starboard side and runs forward past amidships. 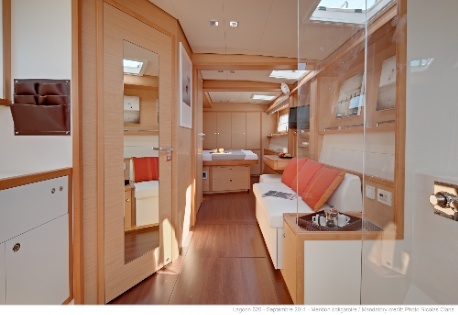 The cabin boasts a queen size double bed, sofa, vanity, separate shower, dual sinks and enclosed toilet. 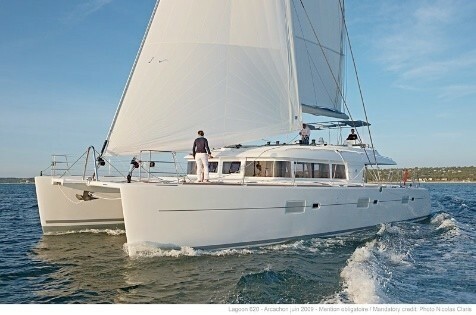 The master is access from both the interior and benefits from a private exterior aft companionway. 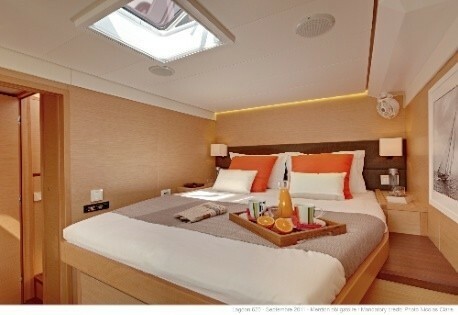 Two guest cabins are mirror image on port and starboard forward, with queen size beds and en-suite facilities with shower enclosure. Each cabin offers full air conditioning and TV/DVD entertainment.